One of the biggest inventions of Sigmund Freud was that of narcissism. The human child, as Freud observed, for the first part of its being is capsuled into a state where self-absorbance is no defect, but the utter norm. For the first months in his life the human child sees itself as the cause of all events in the outside. Freud gave this early stage in human life the name of primal narcissism. In primal narcissism the idea of causality, linking all events and action to distinct causes, is something that is not yet there. In fact, it would take about 6 years from birth for man to escape the realm of primal narcissim and to stop seeing himself as the origin of all action on earth. For the new born child, however, the world is him and he is the world. It is important to remember that the concept of narcissism was nothing that Freud limited to the infant exclusively. Freud pointed out that even adults, neurotic adults for that matter, could be living in a state of mind that actually belonged to a five month-old toddler. Most strikingly, these narcissistic patients were among the hardest to consider that their state of mind was hindering their forthcoming and well-being. While a compulsive disorder could be cured rather easily, narcissistic patients seemed almost incurable: patients who were diagnosed with a malign degree of narcissism reacted denyingly and agressively when their self-absorbed worldview was questioned. And the Italian astronomer, physicist and mathematician? What does Freud’s discovery have to do with Galileo Galilei? More than one might think. The same self-absorbance which Freud observed in the infant Galilei observed in the whole of mankind. It was not until the year 1633 that minkind saw itself as the sole cause of all being, making the idea that the earth would revolve around the sun – and not the other way around – a bizarre assumption. This very assumption, however, is what Galileo Galilei endorsed and what he is remembered for. Polish astronomer Nicholas Copernicus had been the first to question the geocentric worldview that saw the earth as the center of the universe. Copernicus’ thesis of the sun being the actual center only became popular after his death and was developed further by two thinkers: German Johannes Kepler – and Italian Galileo Galilei. 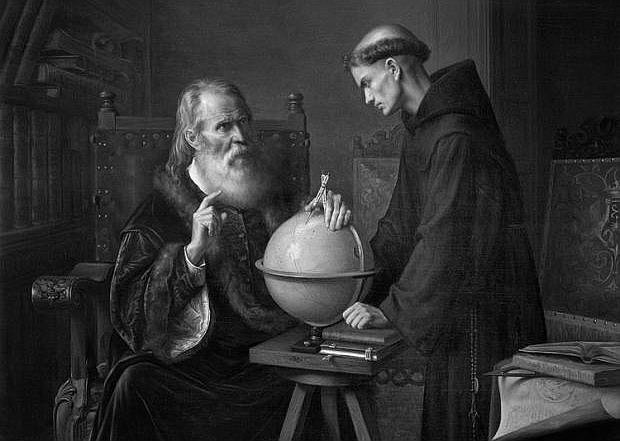 What Galilei strived for, and what set him apart from Kepler was he sought to deliver empirical evidence that the earth was in fact not the center of the universe. Telescopic observation led him to the following: as he watched the moons of Jupiter revolving around their host planet Galilei claimed that the earth would just be another satellite of the sun – a claim that very quickly landed him in jail. In April 1633 he was first questioned by the Spanish Inquisition, a treatment that ultimately led him to despise his theory as “repulsive”, “wrong”, and “heinous” in court. And today? 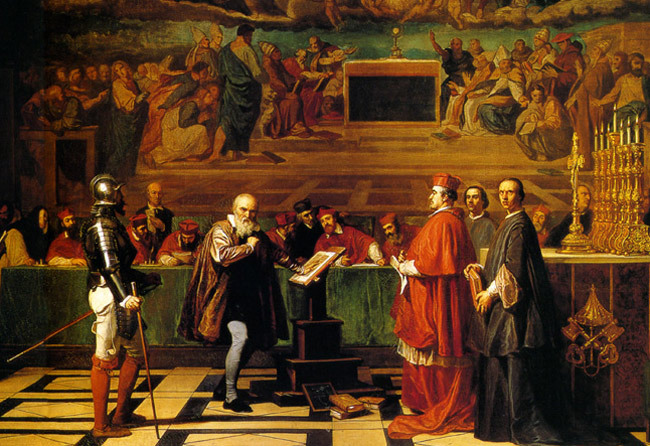 Galileo’s brave invention is still facing prosecution by yet another Spanish Inquisiton. If you thought narcissism was extinguished once the sun-centered (heliocentric) worldview became dominant then look around you. Not only are the streets teeming with narcissists like they always have. There still is that one social group thinking of itself as the cause of all events, impeccable and untouchable. And if one questions their authority, reminding them that their narcissism is hindering them, affecting themselves and others in a negative way, that group reacts like Freud’s patients. They get violent, agressive and retreat even more into their denial. These days, the concept of the state is nothing but a new type of the heliocentric world view.